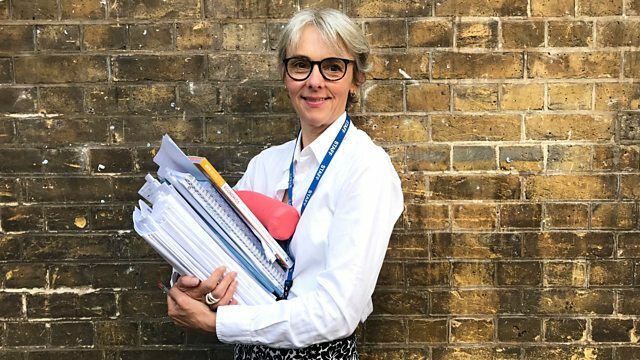 Lucy Kellaway charts her new start as a trainee teacher at the age of 58, moving from the comfortable life of an FT columnist to the realities of teaching in East London. In 2016, the Financial Times’ management columnist Lucy Kellaway announced she was starting a new career as a teacher. Calling on others of a certain age to join her, she set up the Now Teach organisation to help older professionals become trainees in challenging schools. The scheme received over a thousand applications and selected just under fifty to join, including former corporate lawyers, investment bankers and senior civil servants. This series follows Lucy and the other trainees over their first year as they encounter the ups and downs of their new life as novice teachers in inner city London. Lucy moves to a new school and teaches her final lesson.